Delectable Mountains can be totally organized or very scrappy. This is a fun, easy way to make an old classic design, but using a template so that you have more control over the sized and shape. 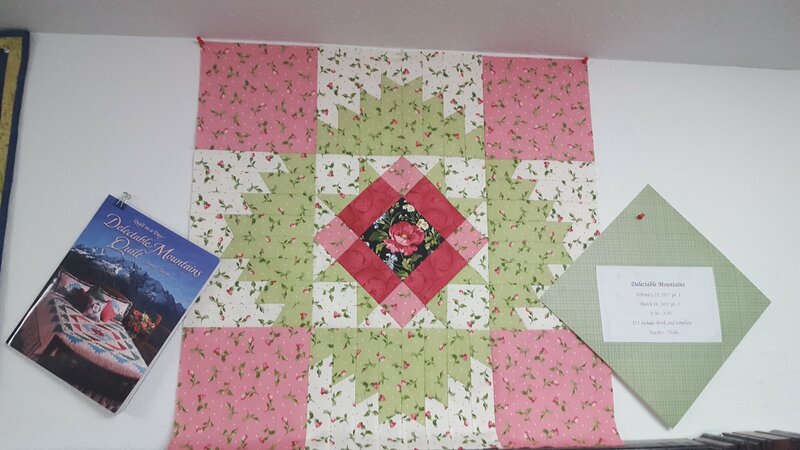 Feel free to make anything from a Table topper, Wall Hanging all the way up to a King sized quilt. In this 8 hour class you will complete the center as well as at least the first round, which if your doing a wall hanging will be a complete top! Come join the fun and create your own sky and mountains. You will need to buy the book from us as well as you will need your choosen fabrics.